In LA, Halloween isn’t a single day; it’s an entire season, packed with themed events and activities that are way scarier than fighting over the last pumpkin at the patch. If you wanted to get spooky every single day from mid-September through early November, hitting something on-theme and unique each time, you absolutely could (and, let's be honest, should). That's why we’re dropping this calendar of things to do on (and before) Halloween right now… before it’s too late. 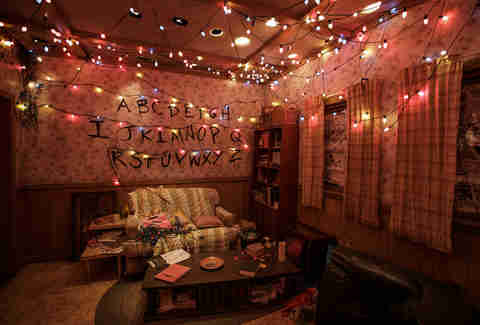 The granddaddy of LA horror events returns this year with a slew of new mazes: the Stranger Things maze is the marquee attraction, with a full entrance to the Upside Down that’s crazily creepy, but don’t sleep on the Poltergeist maze, slammed with insane special effects. It’s pricey, but if you don’t get the front-of-line upgrade you’ll regret it; lines without that upgrade can be up to three hours long. It’s only been around for a few years, but Creep has become an integral haunt in LA, with unique costumes and storytelling that's equal parts jump-out-and-boo-style jump scare and insidious psychological terror. This year’s show is all-new, so no one yet knows what sorts of stunts they’ll pull off -- but you still need to sign a release allowing performers to touch you. Seriously. This year-round escape room-meets-haunted-house experience is not for the faint of heart: you need to sign a form that actors are allowed to touch you before you go in, and if you're claustrophobic/scared of the dark/don't like the sound of little girls whispering about death, this may not be for you. But, if you're all those things (as well as a puzzle-solver), this is an awesome experience; it totally would have made our list of the best escape rooms in LA if it were actually in LA proper. It’s not as high-tech as HHN or as terrifying as Creep, but Knotts Scary Farm has been part of SoCal’s Halloween tradition for decades, with nine mazes spread throughout the park as well as access to Knotts’s coasters -- among the best in the region. Delusion can be thanked/blamed for LA’s now-pervasive cult of immersive-theater aficionados; in many ways, Jon Braver’s you’re-a-part-of-the-story experience set the tone for countless other shows throughout town. After a year off, they’ve partnered with a new production company for a totally new show, which they’re describing as having an “Indiana Jones-meets-Blade Runner” vibe. If past productions are any indication, expect mind-blowing special effects and totally shocking reveals. 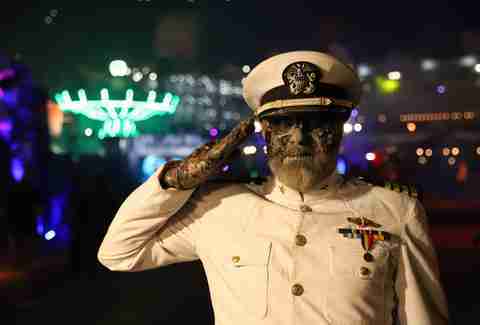 Fire, hidden bars, and an actual haunted ship are all trademarks of this yearly blowout at the Queen Mary. Rather than introduce a lot of new features this year, organizers have decided to focus on re-intensifying some of the haunt’s greatest hits, which include the clown-laden Circus and B340, which attempts to solve a series of murders on the Queen Mary itself. This first-annual fundraiser/party aims to, well, make cancer less scary with a mask-required, trick-or-treat-enhanced cocktail party at one of LA's most amazing locations, the historic Greystone Mansion in Beverly Hills. This place has its own Hill House-style past as well: the first owner died in a murder-suicide in one of the bedrooms. 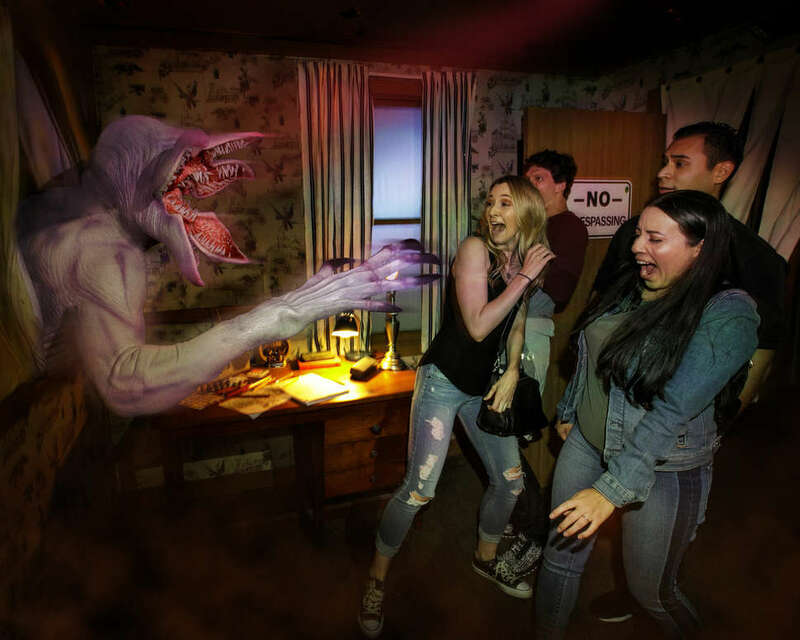 Dollar-for-dollar the best horror experience in SoCal, Reign of Terror’s a passion project that’s been continually expanding in the space above a mall in Thousand Oaks for almost two decades. The experience now features over 23,000 square feet of terror in 105 rooms, covering all sorts of tropes from Deliverance-style inbreds to The Thing-ish outer space terror, all with creative effects work and fantastic costumes. OC’s three-story haunt has three separate maze-style attractions (“Phobias,” “Evil on 2,” and “The Boogeyman Express”) as well as costumed scare zones throughout the property. 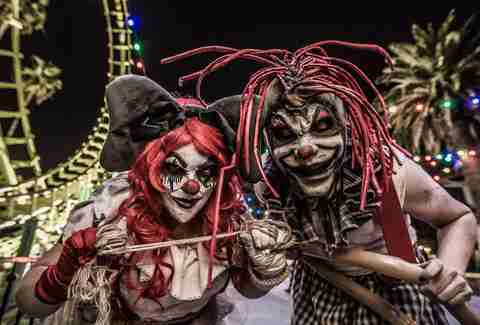 They’ve also got clown-magic-horror performers and food trucks, as well as great deals if you’re headed there with a group of friends. Did you ever see that episode of Shark Tank with the woman pitching her haunted attraction surrounded by a cadre of well-makeuped ghouls? That woman was Melissa Carbone, and the Haunted Hayride is her signature attraction; it’s celebrating a decade this year, and unlike some past years there’s no specific theme. That said, it’s safe to assume you'll come across clowns at some point. Lots of them. With chainsaws. 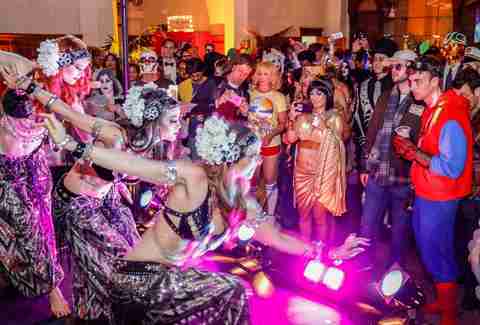 The lineup for this year’s throwdown from LA’s beloved public radio institution includes local soul hero Dam-Funk and rockers White Denim, but anyone who’s ever been to Masquerade knows that the music is secondary to the people-watching: The costumes here are always next-level, and it’s worth the price of admission for the displays of creativity alone. Back in the day, Danny Elfman’s former band Oingo Boingo would throw epic Halloween shows that were LA’s hottest ticket, but for the past few years the rocker-turned-beloved-composer’s been doing various seasonal shows built around his music from Tim Burton’s movies -- most notably, The Nightmare Before Christmas. This year’s shows are live-to-film with Catherine O'Hara and Ken Page reprising their roles in the movie, plus tons of surprises; last time Burton did this, he played Boingo’s classic “Dead Man’s Party” for the first time in years, so just about anything can happen. This immersive theater-slash-dinner-party is put on by one of the most creative crews in LA's dining scene, Disco Dining Club, which explains the hefty price tag. DDC guru Courtney Nichols' is renowned for vibe curation, and this is by far her most ambitious project, with an interactive show based on an HG Wells novel, a five-course dinner, and "excessive coffee" -- as well as an included invite to another Macallan-sponsored event in November. This blowout boasts five bars, two dance floors with two different DJs, and a major-league costume contest with categories including sexiest male and sexiest female, best couple, and best pop-culture reference. Prizes include Tesloop rides to Palm Springs and San Diego and personal styling sessions worth $600 each. 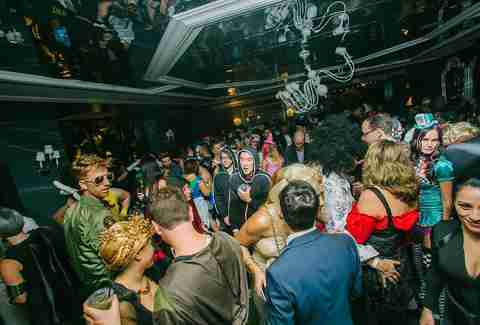 This vaguely Halloween-themed event is from the organizers of the mind-blowingly popular Fleetmac Wood parties: essentially, celebrations of the music of Fleetwood Mac, but remixed with a disco vibe. This promises to be some of the same -- plus costumes, of course. Of course, the biggest Halloween party in town also happens to be the biggest Halloween party literally anywhere. 500,000 people jam the streets of WeHo in something that can either be the best party of all time or the biggest shitshow you’ve ever been a part of, often at the very same moment. In other words, it's an absolute must-do. Jeff Miller’s band Black Crystal Wolf Kids is also doing a ’90s-themed Halloween show at Molly Malone’s, October 26; costumes encouraged. Check out BCWK’s Facebook for more info.